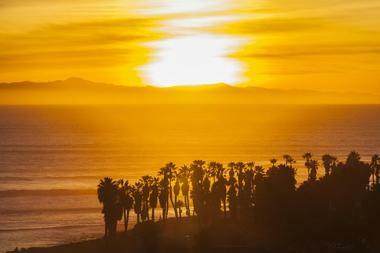 There’s a little bit of sheer paradise just off the Southern California coast in the form of five uninhabited islands. 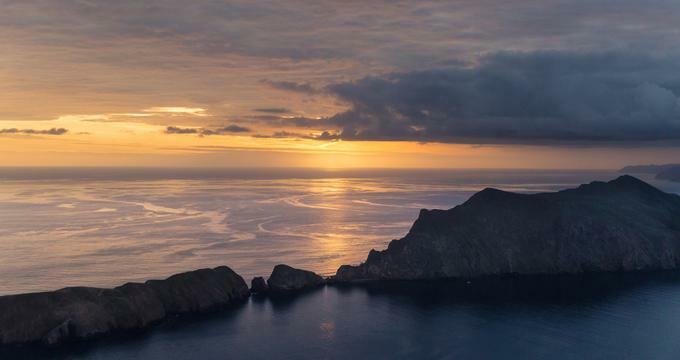 It’s a tiny archipelago, known as Channel Islands National Park and, boasting an ancient history and several tight policies which protect the space as a monument, it’s completely unspoiled. In 1999 archaeologists named the Arlington Springs Man and spoke about him on many academic forums. They began to give credence to his life. But who was he? This Paleo-Indian represents the earliest human being in either North or South America. He is estimated to be about 13,000 years old. At the moment, he is one of the most famous people who once called the Channel Islands home. But the Arlington Springs Man is obviously a relatively recent find. We know this because scientists and environmentalists have known for a long time that these seemingly untouched islands have a very complex and lengthy history of human habitation. Indeed, it was established in the late 1950s that the original people who lived on the Channel Islands – which comprises five distinct territories: Santa Cruz Island, Santa Rosa Island, Santa Barbara Island, Anacapa Island and Anacapa Island Light Station, respectively – were members of a community called the Chumash people. They were also known as the “makers of shell bead money”, because they used a range of small disks, ground from the Olivella shell – which is a marine sea snail – for their currency. The remains of more than 148 villages of these people have been identified by researchers, and given the harsh climates of the islands; various speculations have been made about their living habits. Did they only live on some of the islands seasonally? Maybe they lived on one island and hunted on another? Maybe the women lived on certain islands, and the men hunted on others? Either way, they are reputed to have lived in these glorious islands completely self-sufficiently until the 1820s or thereabouts, when they were affected by missionizing and colonialization: the values of their culture were decimated and sadly, they were, too. The contemporary Chumash community still exists in America, but it is tiny these days, numbering some 5,000 souls in all. There is documented evidence which shows that some surviving elders of the Chumash people can still trace their heritage to the Channel Islands, a place rich in everything from fish to biodiversity. Curiously the culture of eating fish and of hunting abalone only came into common practice in the 19th century in this area, thanks to the presence of Chinese fisherman who traveled to these islands for the purpose of foraging for abalone, which even then, was commanding excellent prices. But it took some time for America itself to take notice of the value of the Channel Islands. It was only in the 1930s that the American Bureau of Lighthouses began to take them seriously, and two of the five islands, Santa Barbara and Anacapa, came to the attention of the National Park Services, who were considering making them heritage sites. University of Colorado biologist, Theodore Cockerill, was of the opinion that these islands were of great importance to the world, and he spent considerable energy in successfully advocating that the islands get national monument status and that scientists cast their research tools in this direction. Effectively he set the proverbial ball rolling and the marine and bird life of these islands developed special attention which took on its own momentum, a momentum which makes the Channel Islands National Park the kind of place you can easily visit, today. So while Anacapa and Santa Barbara came under government protection in the 1930s or so, it took over 50 years for the tiny archipelago to be recognized as an entity. 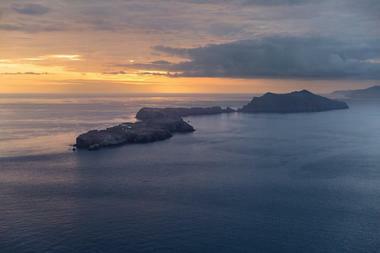 And it was only in the 1980s that Santa Rosa and Santa Cruz Islands, formerly under private ownership, were considered a part of this national park. 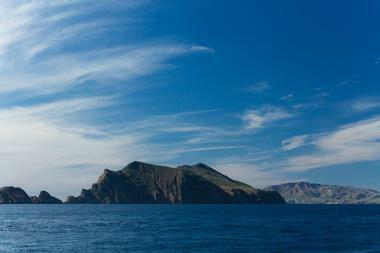 Oh, the things you can do and see on the Channel Islands, California! It’s an explorer’s paradise in the utterly romantic sense. But it’s not for any old explorer: it’s paradise for you if you are experienced and respectful toward the natural world and have a great sense of awe. With built in programs for old and young, the Channel Islands National Park has several situations where you can proactively engage with a ranger, be it to be guided along the landscape or taught the way of the land or the sea. If you’re an experience snorkeler, diver or fisher, the ocean is your oyster and the kelp forests, sea caves and secret coves will be your delight. Remember, however that you do need a legitimate fishing license from California before you can fish in these waters and that the emphasis is on experienced: if you do not have the appropriate tools or diving knowledge, don’t even think about it. These seas are beautiful but they’re not tame and they can be treacherous, particularly to a novice. There’s a strong relationship between the mainland visitors center and the islands themselves: and for this reasons alone, it might make sense for you to spend more time at the center first. It is here where you can learn about how to engage properly with the islands’ mysteries, including such fantastically titled programs as Tidepool Talks and Parks as Classrooms. Classrooms? Indeed: Channel Islands National Park in California places a great priority on young visitors, to instill in them a love and a curiosity, but also a respect for the untouched islands. It’s all about the next generation. And if once you’ve read all about them, you become a little island shy, that’s no problem at all. In fact for many people, it might be the most logical approach to take. The visitors’ center boasts some absolutely extraordinary film footage and live webcam footage, where you can glory in the mysteries of anything from the intimacy life of a bald eagle to undersea communities, and that’s without getting your face full of sea winds first or meeting your first ‘yellow jacket’, which is an insect that predominates on the island.